School meals are cooked on the premises and at present they are priced at £2.20 per day for Infants and Juniors. The school dinners follow a three-weekly cycle. Please look through to see if your child fancies any of the meals on offer. It is essential for administrative purposes that all dinner money be paid in full. Please use our new 'Parent-pay' system to pay for all monies in School. Many thanks in anticipation of your co-operation. Free School Meals - who can claim free school meals? Children who receive income Support or Job Seekers Allowance (income based) in their own right. Asylum Seekers receiving support provided under part 6 of the immigration and Asylum act 1999.
with details of your name, date of birth and National Insurance number, they can advise if you are entitled to Free Meals and will send you application details. Once you have applied and been granted free school meals for your children you do not need to re-apply annually, this can be will be amended with any changes to your income. Free school meals forms are also available from the school office. 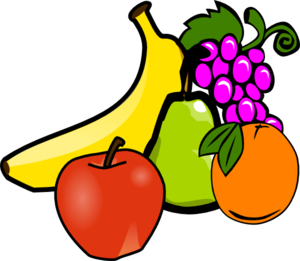 Fruit tuck is available to children in Key Stage 2 where children can buy a healthy snack for break time. The prices for fruit tuck vary depending on what your child chooses.